Our most utmost goal is to strengthen your memories with photographs. Not only that – we also want to create the most beautiful souvenirs for you to cherish in years to come. Our wedding photography style is rooted in striving for authenticity. We want to show the REAL you and tell the story of your wedding as it happened. We will do our best to seize all these tiniest moments that make such days the most special in one’s life. Long story short – we want to bring out the essence of your wedding party. Happiness, affection, emotion, love, warmth – you will see all these in our photographs. The priority is for you to enjoy this remarkable day. Therefore, we will only give you tips and suggestions. It’s entirely up to you how you’ll use them. Additionally, what we consider the most important thing – you won’t spend the whole day posing! Have a look at our gallery to see a full range of our wedding packages. We are sure you’ll find the right one! Louth, Wexford, Waterford, Limerick, Kerry, Clark, Cork and Galway as well as in the entire Ireland. Upon your request, we are also available to travel to Spain or Italy. Please, do not hesitate to contact us, whether with wedding photography related matters or if you simply have a photographic query. We will always do our best for you! Dublin – has many landmarks and monuments dating back hundreds of years, all little narrow streets, castles, parks are beautiful backdrop for photos. Kilkenny – is a well-preserved medieval town and romance is blooming from each corner of the Castle Park and old town. Cork – Cork City or West Cork – wherever you go, you will find beauty, romance, architecture or landscape so special, so unique. A great photo album is like a book – it tells a story. It can showcase anything you’d like – your dream vacations in some exotic location, your kid’s first bike ride or… a wedding! 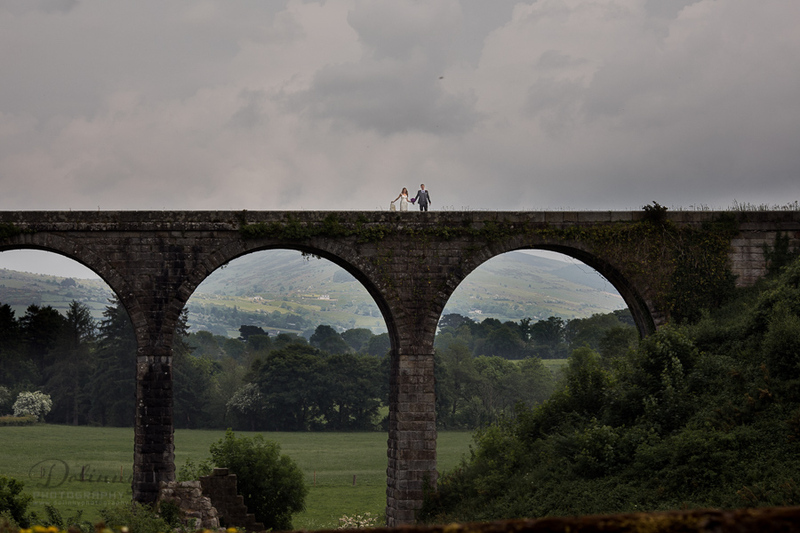 Dolinny Photography are based in Kilkenny, Ireland. Upon request we can provide wedding photography services in the entire Ireland and Europe as well as all around the world including famous locations such as Rome, Paris, Madrid, Barcelona, Berlin, London, Bali, Dubai, and more. To photograph means to capture the moment and preserve its memory forever. It’s not about perfectly staged scenes. Instead, it’s about seizing spontaneity, faces and poses of people at their most natural states. It’s about exposing true and raw emotions. Thank you. Thank you for being our Photographer on our special day and making it even more special by beautifully capturing our memories for us. You are extremely professional, easy going, friendly and helpful. Any questions I had (as a super calm bride of course) you were more than happy to answer. You’re advice and help on the day was greatly appreciated. Family members, our Bridal Party, the Hotel Staff and even our Limo Driver all commented on how relaxed but efficient you were. They all noticed as did we, that you did not rush us at all, you worked around us and guided us through where we needed to be. If all that wasn’t enough to be grateful for, we then got to see our pictures and our album. We were transported right back to our Wedding Day and the amazing time that we had. We’ve had an abundance of lovely comments about our pictures and you really did make us look good. For all these reasons and many many more, we thank you, for everything. Chris is a fantastic photographer and we couldn’t have been happier with the service he gave us. From the first time we met him he was friendly, fun and ready to answer any of our questions. He showed us examples of his work and wasn’t pushy at all about booking anything. His choice of packages make it easy to find one to suit you and your big day. I would definitely recommend doing the engagement shoot with him as it gave us a great opportunity to see what we needed to do on the day to help him get the best pictures. It was also a really fun experience and people are always commenting on the photos from it. One person even described them as a magical. This shows how talented Chris is. On our wedding day he arrived ahead of time and started taking photos of me stacking the cake which was lovely. He is really good at taking candid photos without the subject being aware meaning everyone was at ease for the whole day and not afraid of the camera. He is also open to suggestions on photos we wanted taken, no matter how cheesey or odd. He gives instructions clearly and calmly and had me, the groom and the rest of the bridal party laughing throughout. He is also extremely patient which is good considering it took 20 minutes to get one side of the family together for a photo. It’s hard to convey how talented Chris is in words but look at his work and you will see what I mean. He has a real eye for great pictures. Hi Chris, Thanks so much for the wedding photos. I love all the natural shots and the “real” moments. So glad you understood my need for as few posed shots as possible and did the essential ones very quickly. It meant I got to be in and amongst my wedding guests almost all the time. I love the shots at the bar of Mark writing his speech. Mark was really impressed with your relaxed attitude the morning of the wedding and enjoyed all the pre-ceremony posing. Very good value for money and happy that I have my pictures there on DVD and can keep them forever. 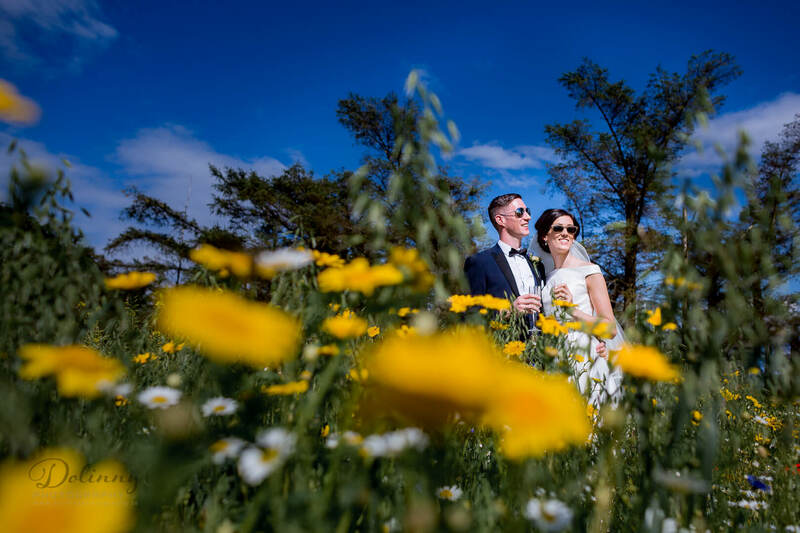 Hi Chris, just a quick mail to say thank you for being such a great presence on our wedding day and for taking the most amazing shots… The pictures are just gorgeous and we couldn’t be happier…. Thanks for being so helpful in the day and respecting our space so much so that we never noticed the camera. You made it fun and easy and the pictures reflect that. Thanks again. My husband and I loved the photos by Chris. We had engagement and wedding shoot which is not provided by many photographers. Chris is easy-going, polite, fun, creative. We would highly recommend. When we started planning our wedding in October 2013 we were both still living in the UK at the time. As we all know planning a wedding is one of the most stressful things to do and it was made even more so to do this for us from across the water. Choosing a photographer was one of the biggest decisions for us as we knew we had to make the right decision as they would be providing us with the memories of our special day. When we were first looking around we came across the website for Dolinny photography and looked through the portfolios online. We were very impressed with the quality of the photos and the packages that were being offered and so arranged for a meeting with Chris. On first meeting Chris it was very quick to see his passion for his work and his eagerness to ensure that our requirements were to be met. We were so glad to hear that his style of photography suited what we wanted from a photographer and during our first meeting he put our minds at rest about the one thing we were most nervous of. We had a few other meetings with other photographers that had already been arranged, but no one else came close to have the passion that Chris has or matching our requirements so perfectly. We contacted Chris with a few more questions and he was very accommodating so we booked him immediately. As part of our package we had an engagement shoot included which we had done on Bull island in Dublin. We had a wonderful day for weather and had a great laugh with Chris taking these photos. It gave us an opportunity to get to know him better and gave him a chance to give us tips to help make sure we would get great pictures on our wedding day. We received the album for the engagement shoot very quickly afterwards and was ecstatic with the quality of the pictures, it helped to further cement out feelings that we had without doubt made the right choice in having Chris as our photographer. On the lead up to the day Chris was very organised and helped us out a lot in terms of planning for the photographs on the day. On the day of our wedding Chris was unbelievable. He managed to organise all the family/friend shots that we had asked for flawlessly and then blended into the background where we ad forgot he was even there. It wasn’t until later in the evening that we spoke to Chris again as we had wanted some shots outside in the evening so we had a break to go and take these. Chris then disappeared back into the shadows and we then only saw him again to say goodbye when he was leaving. He allowed us to enjoy our day without the usual hassle you would get from a photographer and the feeling that if you smiled one more time you would explode into a rage and start yelling at people! When we received the photos back from Chris we were overwhelmed with how amazing they were, the quality was unbelievable and the photos he had managed to capture on the day sent us through the whole spectrum of emotions with us crying with laughter and love throughout the whole first view. Finally when we received the final album the finish was of an unbelievable quality and is something we are very proud to have and something that Chris should be very proud to have produced as in my eyes it is a work of art. Since the day I have kept in touch with Chris and will be using him over and over for any family photos we want done in the future, his passion for his job in unquestionable and his talent undeniable. But, by far the greatest gift that he has is his ability to stay calm and to keep us calm in all situations when the stress could have broken a lot stronger people! Thank you so much Chris for all you did for us and we both look forward to working with you again in the future! Thank you so much for your hard work and skill. The photographs are stunning and we all (Rob and I and our families) love them – so much fun looking through all the pictures and seeing all the moments you captured. I can’t believe you even got great pictures outside when we went to the Muckross House when it was so windy and raining!! You were so great to work with on the day, with your sense of humour and unobtrusive style. I will be highly recommending you to anyone I know who is getting married! Do you by any chance travel for wedding photography?! Thanks again for everything. Hope 2015 is an amazing year for you. We are delighted with all the pictures. It was a pleasure to have you take our pictures on our wedding day. You really understood and took on board the type of pictures we wanted. You were great fun for the formal shots and very discreet when taking the rest. We really and truly got more than we had expected! All our friends and family that have seen the pictures have all commented on how great they turned out and what an excellent photographer you are. We highly recommended you to friends who will be getting married in the future. Having worked with a lot of photographers in Irealnd whose work I found to be sub-standard, I am delighted to have found, Dublin photographer – Chris Dolinny. I have worked with Chris four times now, for both portrait work and live music performance shots, and each time I have the end results have been brilliant, and just what I was looking for, if not better. Chris is totally professional in the way he works but also brings a calmness and warmth to any photo shoot, and he will totally put you at ease with his great sense of humour. He is reliable, punctual and great value! And he is creative in his ideas whilst still taking on board exactly what you want. He is also very handy with Photoshop and will apply any changes or effects to your photos that you may like. If you are looking for a photographer either for a photoshoot or for your family event or wedding, I would highly recommend Krzysiek. I am so relived to have finally found a skilled and creative (and friendly!) photographer in Ireland. Last March we had Chris as photographer at our wedding and we could not have been happier with our choice. He mingled with our guests and was totally unobtrusive on the day. He was so relaxed in his approach that we never felt rushed or awkward and got to enjoy our day with our guests. Most importantly he captured some amazing moments and the album he created tells the story of our day from start to finish. It was vital that Chris did this as we didn’t have a videographer so we placed a lot of responsibility on his shoulders and he fulfilled all of our wishes, surpassed them in some cases. We will treasure our photos for years to come and we will also remember our wedding photographer, Chris, fondly. We would not hesitate in recommending him to anyone considering availing of his very talented service. 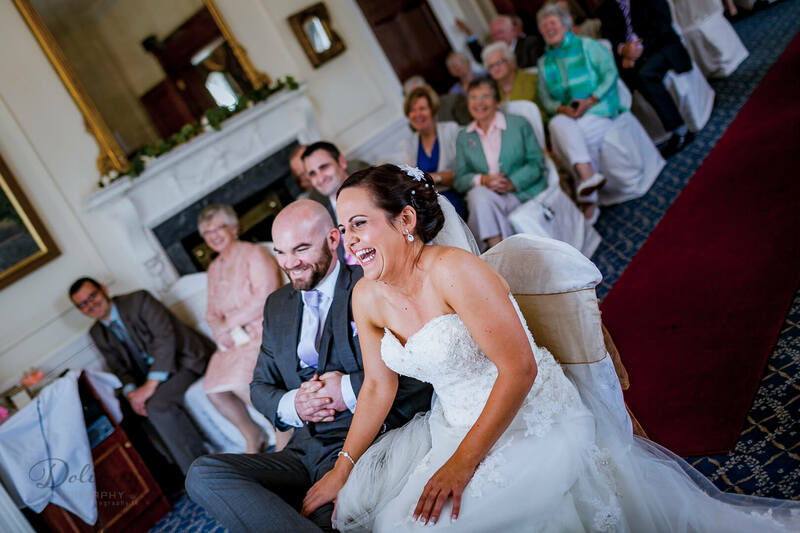 We were very happy that we chose Chris – wedding photographer from Dublin for our wedding day. 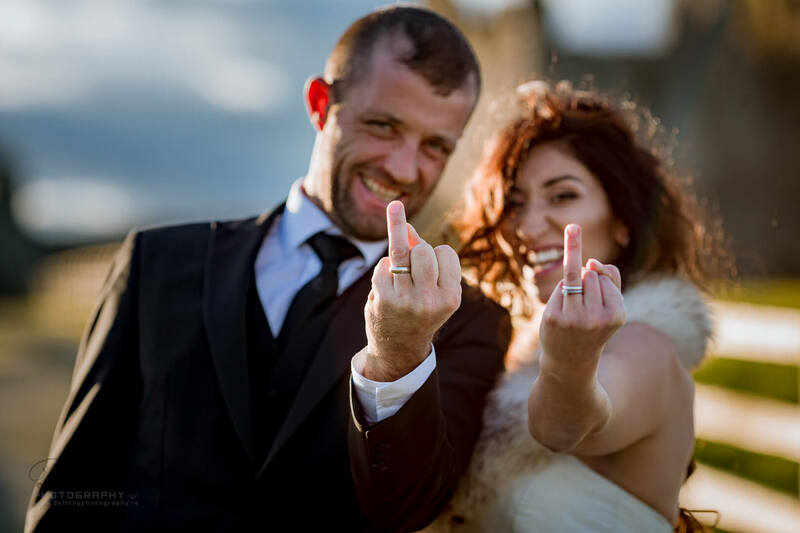 Not only were we impressed by the quality of the our wedding photographs, they were exactly the style that we were looking fot personal, fun and not overly formal. Chris managed to capture the whole day without at any stage being intrusive, which is also something that our guests commented on. Both ourselves and our guests felt at ease in his presence…and this really showed in our photographs. Thank you Chris, it really was a pleasure working with you and we would be happy to recommend your services to everyone we know! Chris, wedding photogrpaher from Dun Laoghaire and his assistant, were extremely professional right from the start. Yet they were also extremely down to earth and personable, which allowed myself and my family to feel at ease and comfortable. By encouraging us to relax and have fun he was able to capture us at our best moments. The photos he took really represented the entire atmosphere of the day – the spontaneity and fun. He used his artistry and creativity to capture some of the most special moments of our lives. 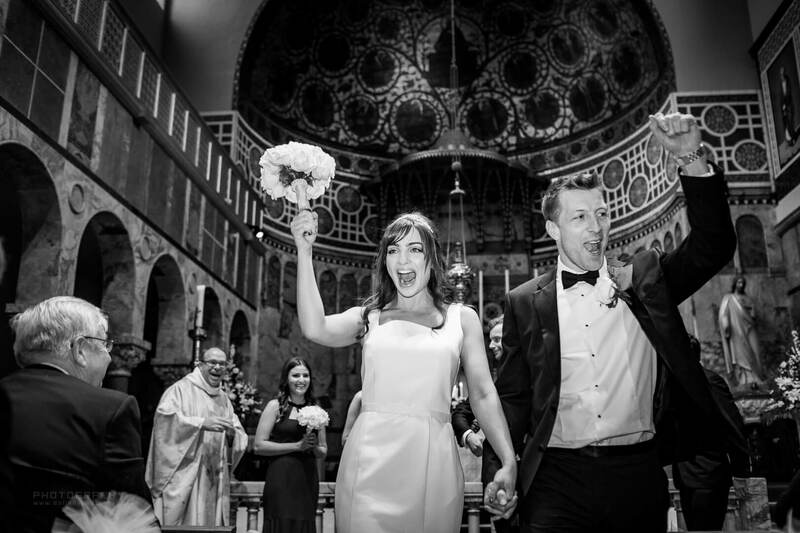 We were very lucky to find Dublin wedding photographer Chris Dolinny for our big day. He made the effort to get to know us beforehand even though we were visiting Dublin only infrequently before the wedding and he quickly found out what we wanted on the day. He also had good suggestions prior to the wedding and on the day itself. He was very friendly and also worked extremely hard getting lots of good reportage shots but without needing to be too dictatorial with us! Chris made the proofs available very rapidly to view at his home and then quickly afterwards online. We have recommended him to our friends and family for their weddings and big occasions. Chris Dolinny was the photographer for our wedding last January and we could not have been more pleased. Chris was a brilliant on the day and the photos were great. The engagement session prior to the wedding meant that we had gotten to know each other a bit beforehand and as a result Chris knew exactly what we wanted. The photos turned out great. In addition, Chris was incredibly patient with us when we were choosing our photos. I highly recommend Chris for anyone’s wedding in Dublin and around Ireland or other event, indeed many of my friends have booked him for their Irish weddings. He was professional and efficient and a joy to work with. 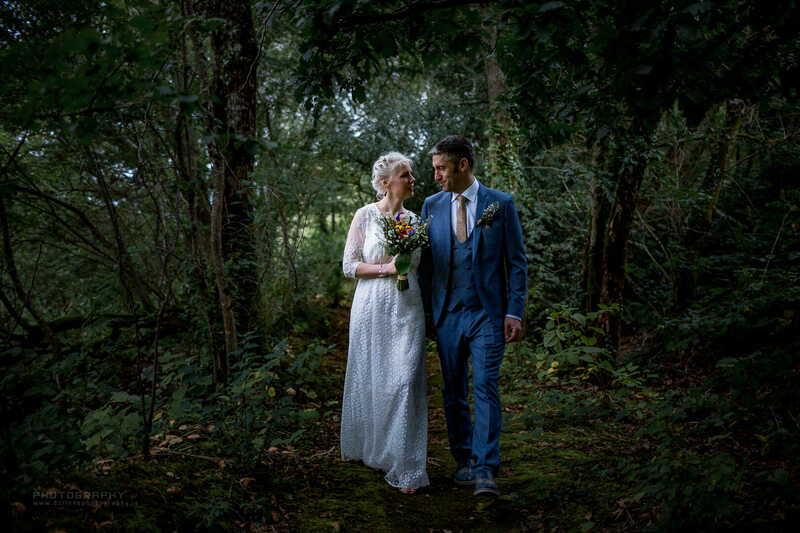 After months of researching wedding photographers in Ireland we decided on using Chris – Dublin wedding photographer, for our wedding on September 1st 2011. From the outset Chris was always so helpful, professional and friendly. We had an initial meeting with Chris a few months before our wedding where we discussed the type of photographs we hoped to get on the day. 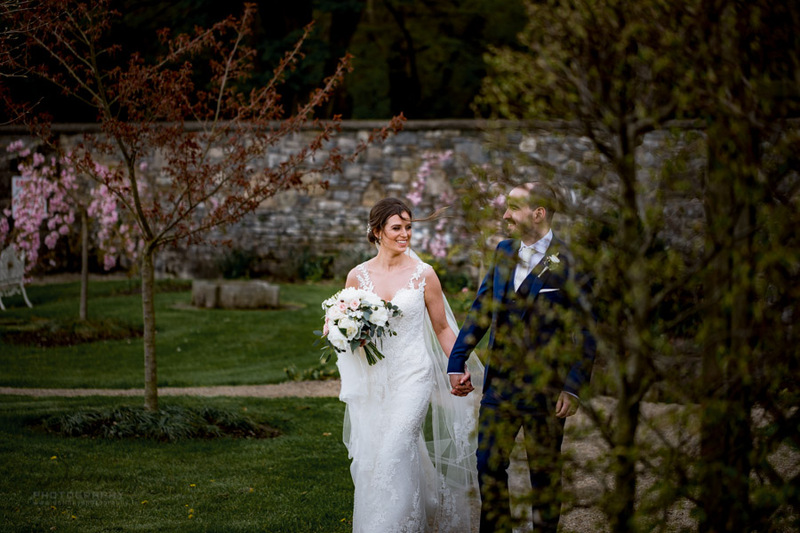 He gave us great tips and advice which helped us in picking the perfect locations for our wedding photographs in Waterford area. We could not recommend Chris highly enough; he was excellent on the day, so professional, we barely noticed he was there. On the morning of the wedding Chris was even on hand to helpus with cufflinks and buttonholes! We were so impressed and blown away when we saw our wedding photographs; they were amazing and were exactly what we were looking for. They really captured our special day. He gave great suggestions on the day which helped us in getting the perfect wedding photographs. 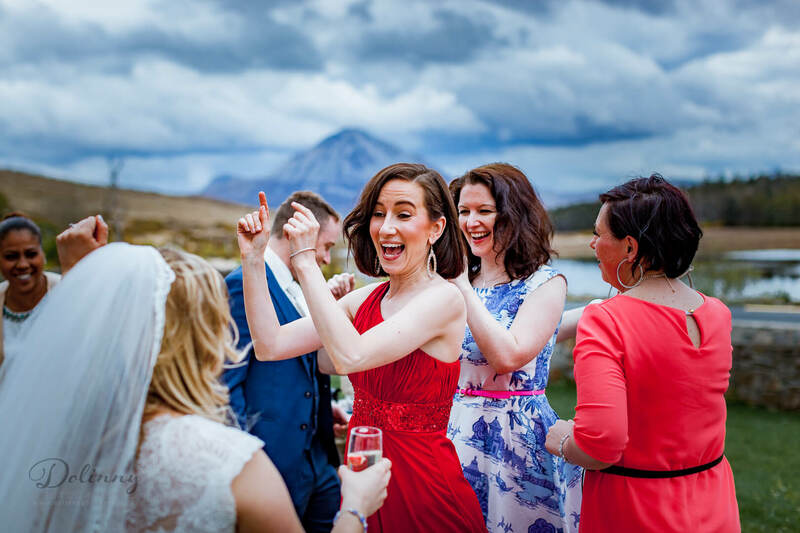 I will definitely be recommending Chris to any future brides I know, as a great wedding photographer in Ireland. Chris – over 12 years of experience as a photographer, many publications, awards and honors, but this is not important. Above all, a father for his children, a husband, a man with passion. Family, photography, mountains, travel, this is important and thanks to that I look through the camera viewer every day with a fresh eye and every next wedding is a great new adventure. Do you want to come with me and live something extraordinary? 1. Make sure the lighting at the wedding and the reception venue will allow the photographer to work without flash. Churches are often under lit or very dark. If you choose a church to be your wedding shoot venue and there is no extra lighting, be aware of the fact that using flash kills the feeling and won’t let the photographer to show the beauty of the interior. If you choose a hotel or other room, remember that the reddish or bluish light that usually gets into dark room will also prevail in the photographs. 2. It is important to „connect” with the photographer as a person. There’s no other people who would spend so much time with you during preparations, ceremony, and reception. If you understand each other or share a sense of humour, your pictures will be so much better. Remember that you are a team with a common goal: pictures with a WOW effect. 3. Don’t try to play a role. Be yourself, show what defines you, don’t act, don’t prebend to be someone else. You look best when you are yourself. And that’s ok, a special on your wedding day! 4. Communicate – give all the details of your day to the wedding photographer. Sure your photographer has been to many wedding already, has seen it all, but he has never been to YOUR wedding yet. Don’t hesitate to discuss everything in detail, especially what you think is important or unusual. “As a photographer, I do not interfere with the goings, I observe and take photos. It’s easier when I’m not surprised by anything important about to happen suddenly”. 5. If you pose, don’t force yourself to do anything that you are not comfortable with. If you like to pose, if portrait photography is your thing, that’s great but remember that copying someone else’s picture that you liked might not be the best for you. I let the couple to just be with each other, show emotions, go for a walk, take a breather from the mayhem of a wedding day. Don’t rush it. Give yourself and your photographer time and you’re sure to get WOW photographs. 6. Photo Bens, mobiles, iPads – prohibited at wedding ceremony. The choice is yours and only yours whether to trust your wedding photographer and let your guests fully engage in the ceremony. Wedding without mobiles – it’s not too much to give your photographer an opportunity to take photos with WOW factor. 7. It might sound like a non-brainer… make sure that the venue allows the use of cameras. There is no worse thing for a photographer to learn he’s not allowed to take photos or that he’s only allowed to stay at the end of the room or other place which would ruin any chance for good pictures from your special day. 8. Photographer at your wedding is not your enemy. Remember that you are a key element in a portrait photograph that’s supposed to … show YOU. Your photographer surely has the skill and knows how to do it – but if you’re not fully involved, the pictures will be dull and boring. 9. Don’t be afraid to try something new. Couples often want to copy pictures they saw earlier, but the whole fun is in trying something new, a special that is YOUR wedding day. The worst thing that could happen is that your photographs will be different, original, yours and… just WOW. 11. If you chose reportage/documentary style wedding photography – give your man time. Wonderful, unforgettable, natural, and unique wedding photos are those taken „by surprise”, but those cant be pre-ordered or “pre-set”. While planning The Day, think if you’ll have time to “hunt” for such pictures – maybe the pre-planned shots will take the most part of your ceremony. 12. Get wedding dress [or wedding shoes] dirty! The dress is a vital part of your wedding… but don’t let it dictate what you should or shouldn’t do. Chill out and let the photographer surprise you how gorgeous the photos turn out. 13. Be creative. Embrace all things new. It’s your wedding day and it’s up to you whether it’s going to be full of all things … you. 14. Gave up all the bells and whistles on your wedding? Great! Didn’t go for the limo, band, and all that ritual? You don’t need it all to make The Day be YOURS. The more YOU in the mix, the better chance for FAB pics. 15. Pack wedding photographer into your suitcase. If you’re planning to get married abroad, you have plenty of options, even if you’re on the budget. It’s good to hire someone who’s on the same page as for the style or culture you prefer. Check the prices yourself. You will be surprised to find that taking a wedding photographer with you won’t be much dearer than hiring someone local. The effects could be greater than you anticipated! Monochrome photography lets the audience focus on vital elements and often makes the whole thing easier for everybody when light in certain scenery is too colourful to be “mollified”. 17. The more isn’t always the better. Inconspicuous and seemingly unattractive locations may let you get startling effects. Don’t be afraid to be different… or listen to what your photographer may have to suggest. 18. It’s men’s day, too. The wedding day does not only belong to the bride and the bridesmaids. The groom and his company go through a lot as well. Enjoy the day, both of you, have fun, and the WOW pictures will just … happen. 19. Evening, night or daytime – wedding pictures all day long. Daytime is not the only option if you want to get interesting photographs. Allow for some time in the evening as well [the so called “golden hour”], or at night, and the FAB pics will come your way. 20. Remember, at YOUR wedding, you’re supposed to have the time of your life! How’s everybody enjoying the day depends on you – on what you choose to be a part of it all, on how you want your family and friends to spend that special time – remember, the more fun everybody has and the more’s going on, the greater the chance to capture all the WOW moments on FAB photographs!